If you live in the UK you might be aware of some changes to tax reporting coming in April 2019. These fall under the umbrella term "Making Tax Digital", or MTD. HMRC (the UK tax authority) aims to become one of the most digitally advanced tax administrations in the world. MTD is making fundamental changes to the way the tax system works. VAT registered businesses with a taxable turnover above the VAT threshold (£85,000) are mandated to keep digital VAT records and send returns using MTD-compatible software from 1 April 2019. HMRC will not be offering its own software, but provides the ability for software developers to integrate with their systems. The process for sending VAT returns digitally is currently in Beta until 1 April 2019. The existing portal provided by HMRC will be taken offline because it doesn't maintain a digital link all the way from source information through to filing. 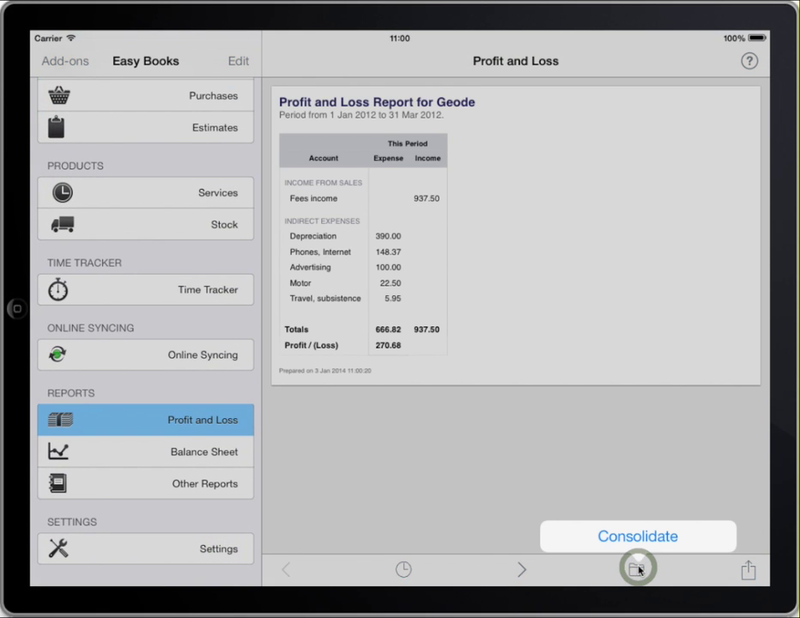 Easy Books for both iOS and Mac have been updated, and the app is listed on the HMRC software suppliers page. The following video shows how easy it is, I hope. To use Easy Books to file your VAT, you'll need iOS 11 (or later) or macOS 10.13 "High Sierra" (or later). You will also need to start or upgrade to one of the new subscription plans on offer (Bronze, Silver or Gold). If you have a subscription to an earlier "sync-only" plan (Steel Plan), please sign in to your account page at sync.easybooksapp.com and upgrade. Upgrades consist of a refund of any remaining period left on the existing plan followed by a new charge for the same period on the new plan. Online filing is currently in Beta at HMRC until April, but there are a number of small pilot programs running. If you would like to be included in the pilot scheme, please follow the link "Ask for help" in our support page. To send VAT returns digitally, run the VAT Report. First turn on the Online Filing option and fill in your VAT number. You'll need to sign in using your HMRC user id. Then grant Easy Books authority to file your VAT. This only needs to be done every 18 months. Once done, you'll see all the information before it's sent. Click Submit to send it to HMRC.